At Borello Orthodontics, we understand your orthodontic care is an investment! It is an investment for yourself and we don’t take it lightly that you would choose us as the perfect fit for you! Your St. Louis, MO, orthodontist considers it a privilege to provide quality service to you or your loved one. It is important to Borello Orthodontics that you have a strong relationship between your St. Louis orthodontist and yourself. From our friendly and welcoming front office staff to offering a Patient Satisfaction Guarantee, Brighten looks forward to the opportunity to build trust and strengthen the relationship between you and your St. Louis, MO orthodontist. Our guarantee provides exceptional results as it demonstrates our confidence and reliability as it relates to your braces and orthodontics. We value your time! As the top rated orthodontics office in St. Louis, MO, we believe that your time matters. For this reason, we have established a quality of services commitment to ensure that all patients are seen at their schedule time. We are focused on the quality of services you receive as you commit to this process of your brightest smile. For us, your satisfaction is our top priority. When you arrive at Borello Orthodontics, you are more than a number, you are our top priority. Our guarantee costs you nothing and allows you to find extra value in the services we provided. A happy patient is a patient that will spread the word about our St. Louis, MO, orthodontics office. Quality service may not be quantitative, but it can be measured by the feedback you provide us as well as referrals. Our goal is that you are satisfied with your services and will tell a friend about the experience you have with Borello Orthodontics. 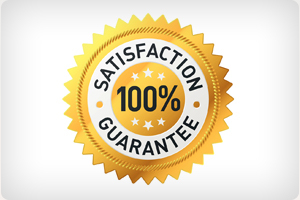 We guarantee your satisfaction because you deserve it! Selecting us to move forward in your quest for the ideal smile with braces or other orthodontic care is a great investment in yourself and we don’t take your trust in us lightly. Your time and dedication to the process is of great value to us and we consider it a partnership. For this reason, our guarantee is designed to put your mind at ease. We are confident that the return on your investment will produce the greatest outcome…your greatest smile! So let us help you meet your goal and take comfort in the fact that your satisfaction is our greatest focus! Call us at 636.625.4224 today to set up your free consultation!